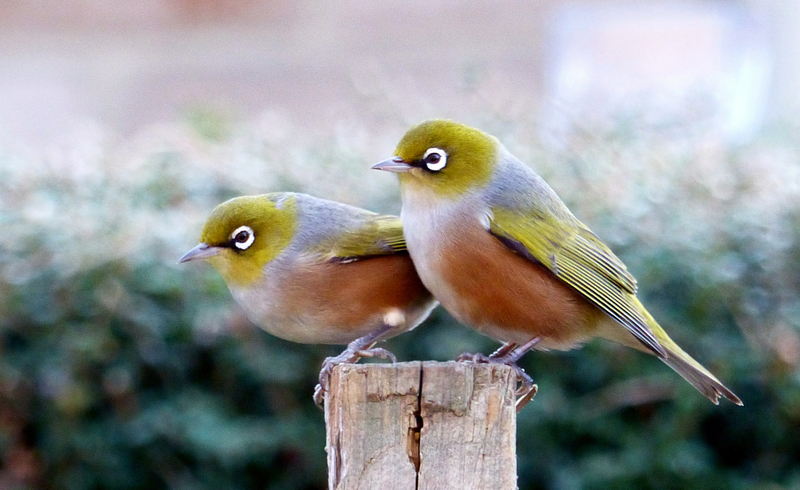 Two Waxeyes standing on a wood pole. Photo by Bernard Spragg. NZ.